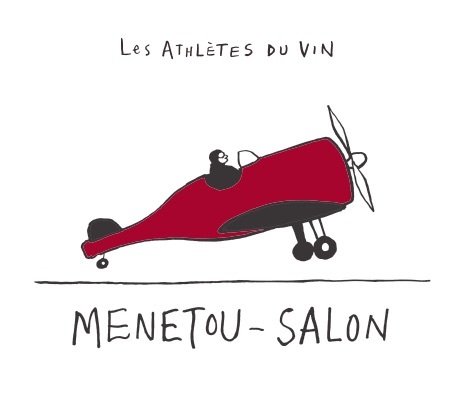 Les Athletes du Vin is a négociant project focused on producing great value typical wines from the Loire Valley. The idea was conceived by a group of French winemakers called Vini Be Good who work together to distribute their wines in France. The wines are vinified by various members of the Vini Be Good network using their own grapes or grapes purchased from friends and neighbors in the Loire. Paris Wine Company works with two members of the Vini Be Good network: Matthieu Vallée of Château Yvonne and Christophe Ferrandis of Clos Signadore. We are proud to present these wines made by their friends and family, as several of the cuvées are made by Matthieu Vallée’s brother Gérard Vallée. 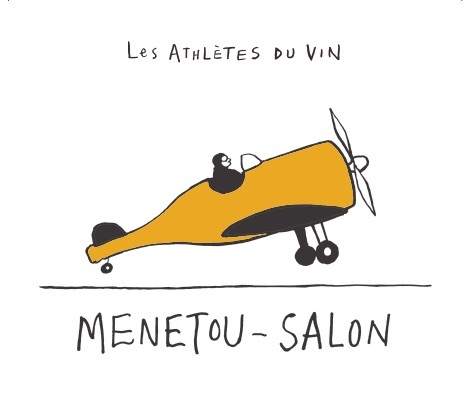 The labels for Les Athletes du Vin are drawings by French artist, illustrator, and cartoonist Michel Tolmer who has been the unofficial lead artist of the French natural wine movement since the 1990s. Clay and Limestone, 50 to 120 years old vines. Harvested by hand. Maceration for 2 weeks, aging in stainless steel tanks. Ageing in concrete tanks on fine lees during 6 months. White pepper notes , and a delicate spicy flavours ,fresh and crispy with red fruits and raspberry fragrance. Perfect as an French charcuterie, during a barbecue or nice with spicy Asian style dishes. Bottling in April, 45 hl/ha. Sand and Clay, 20 years old vines. Stainless steel tanks and wooden vats. A garnet red color and a pretty sour cherry nose announce a delicate mouth. Silky tannins and a beautiful freshness. Charcuterie, poultry, red meats and cheeses. 35hl/ha. Sand and Clay, 35 years old vines. Mechanical Harvest, Pneumatic pressing, fermentation in stainless steel tanks . Fruity wine, well balance with beautifull acidity . White fruits flavours, peach and pears, with some note of citrus fruits. Perfect to pair with shellfish and grilled fresh fish, and also with a spicy food. 45hl/ha. Clay, limestone and flint from various plot, 25 years old vines. Harvest by hand, fermentation in concrete Tank during 3 weeks. Ageing is done in oak vats of 60 hl/l during 6 months. A crispy and fruity Chinon with delightful aromes of red fruits. A well- structured wine with a long finish. To paired with pork meats, terrines, poultry and beef. 45hl/ha. Silt and Clay, 60 years old vines on 4 hectares. Manual Harvest, Carbonic maceration and fermentation in stainless steel tanks. Ageing during 6months in concrete tanks. Bottling between february and march. 5,000 Bottles produced.